When you buy a house for the first time, there is a whole slew of things to worry about. There is paperwork to fill out, documents to show to realtors, houses to look over, it all comes together and becomes headache inducing. But Fairfax Mortgage Investments makes it easy. Our team knows the ins and outs of the Springfield, VA home buying process, which allows us to help you through it. We do all the paperwork for you so you don’t have to worry. Our team is dedicated to giving you the home you want, pointing you out the the right loan package for you. Give us a call today! Our team will support you through the entire process until you get your new home. FHA loans are a little bit cheaper to pay, with smaller down payments, lower closing costs, and competitive interest rates compared to other loans. They are insured by the Federal Housing Administration, protecting lenders from losing money. 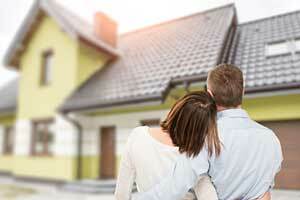 FHA loans work well for Springfield, VA first time home buyers. USDA loans create opportunities for Springfield, VA first time home buyers to buy a house in the countryside. They have a low interest at a fixed rate and no down payments to pay. This option is cheaper than other kinds of loans and appeals to low income families. This loan is for soldiers, veterans, and their widows. They have lower interest rates than other loans and have no down payment as well. VA home loans are backed by the US Department of Veterans Affairs. FHA Section 203(k) works for Springfield, VA first time home buyers who want to get a house that needs renovating. They roll the mortgage and the repairs into one, which lowers the mortgage rate and thus makes it cheaper. As this is part of an FHA loan, the requirements to get this loan are the same as FHA loans. Fairfax Mortgage Investments offers assistance in the Springfield, VA home buying process, allowing you to relax a little as we do the work for you. We can do everything from credit enhancement and credit rescoring to program applications. As a guiding hand, we make sure you get the home you want stress free. Start with figuring out the housing costs, closing costs, and the house itself. Then, make a budget based on the numbers. Next, find a realtor, then gather documentation you will need for the first meeting. This includes pay stubs, bank account statements, W-2s, tax returns, current loan statements, credit lines statements, and the names and addresses of previous landlords. You can then let Fairfax Mortgage Investments do the rest!